While larger organizations may have the privilege of entrusting their finances to professional accountants or accounting firms, as a small business, you might need to tackle the major part of your finances on your own. This means that when it comes to making cuts and adopting business practices with a better ROI, you will be on your own. 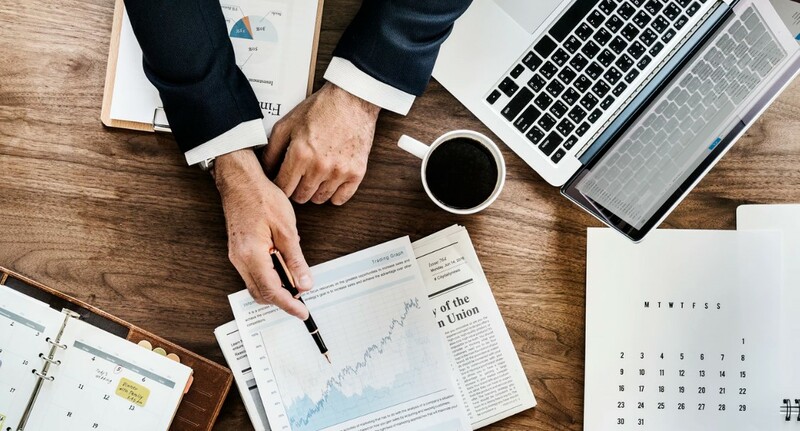 With this in mind and without further ado, here are five small business finance optimization tips you need to hear as soon as possible. When you’re a small business, you get a pretty massive overhead, starting from paying salaries and wages (unless you’re a one-person startup), the lease on the office (unless you’re a home-based business), supplies, depreciation and much, much more. Even when it comes to these exceptions (one-person-home-based business), you might be able to deduct a part of your self-employment tax or a part of your utility bill as a cost of running a business. Either way, by knowing where to look for these tax deductions, you can reduce your overhead, thus directly boosting your profit. The biggest mistake that small entrepreneurs make is taking their time for granted. Setting aside several hours each day in order to resolve a simple issue might end up losing you more money than just outsourcing this task to someone else. Furthermore, if you delegate one of your staff members to handle this issue, you’ll be taking them off their core responsibilities, which means that their productivity will plummet. In fact, you might even feel the need to hire someone else to make up for this productivity loss, which will lead you to conclude that it was much cheaper to handle this task differently in the first place. In order to know what’s worth it and what’s not, you need to figure out how much an hour of your time is worth. The crudest way to do so is to simply look at your hourly profit (or wage if you’re not the owner of the company). Still, this method has several downsides. Mainly, the fact that bringing someone else in means making your infrastructure more complex. Sending invoices every single month can be simply exhausting and the unreliability of this system (due to the probability of human error) might turn out to be problematic in the future. Instead, why not automate payment collection for some of your regular customers or subscribers. Some online direct debit systems give you this option and enable you to eliminate the dreaded admin around manual collection, as well as ensure that your income always arrives on time. This predictability also makes business planning much simpler, which benefits your organization as a whole. You would be surprised to learn just how many companies handle their delivery system, without a proper fleet management system. This means that they lack A) a trained, skilled and experienced individual in the position of a fleet manager, and B) an adequate GPS enhanced software navigation system. By making more efficient routes, keeping drivers in your fleet in check and making sure all the rules of the road are respected, you stand to save a small fortune, at a relatively moderate investment in both time and effort. As your business grows, you’ll feel an even greater need for a fleet manager, which makes this decision quite scalable, as well. Finally, if you’re facing several loans and have trouble keeping up with all these due dates, interest rates and a total number of credit payments, you should probably consolidate your debt. Aside from getting a privilege of facing a single major debt instead of several minor ones, you also get to do so on your own terms. For instance, you can switch all of your debts to the credit card with the lowest interest rate and, in this way, get to save a substantial amount of money over the course of years. The finances of your business are the key determiner of how profitable you are, as well as how soon you reach the break-even point. Seeing as how most small businesses take 6 months to 1.5 years to become fully profitable and 95 percent of startups fail within their first five years (mostly for financial reasons), this can make a difference between success and failure. In other words, every choice you make will determine the future course of your company.